Do you wonder how movies - sequences of static frames - appear to move, or why 3-D films look different from traditional movies? Why does ventriloquism work, and why can airliner flights make you feel disoriented? 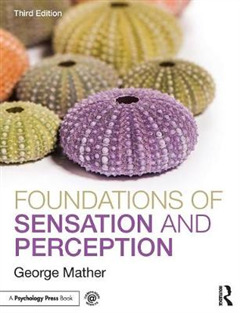 The answers to these and other questions about the human senses can be found within the pages of Foundations of Sensation and Perception. 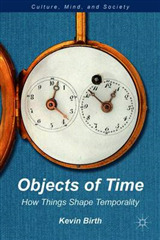 This third edition maintains the standard for clarity and accessibility combined with rigor which was set in previous editions, making it suitable for a wide range of students. 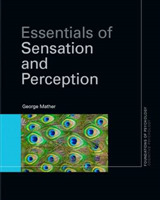 As in the previous editions, the early chapters allow students to grasp fundamental principles in relation to the relatively simple sensory systems smell, taste, touch and balance before moving on to more complex material in hearing and vision. 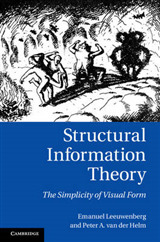 The text has been extensively updated, and this new edition includes: * a new chapter devoted to attention and perception * over 200 new references * over 30 new figures and improved, more colorful, visual presentation * a new companion website with a range of resources for students and lecturers The book contains a range of pedagogical features, including tutorial sections at the end of each chapter. This distinctive feature introduces areas of the subject which are rarely included in student texts, but are crucial for establishing a firm foundation of knowledge. 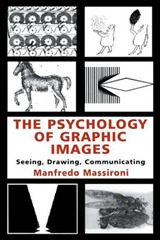 Some tutorials are devoted to more advanced and technical topics optics, light measurement, Bayesian inference, but treated in an accessible manner, while others cover topics a little outside of the mainstream music perception, consciousness, visual art. 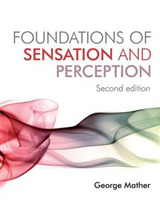 Foundations of Sensation and Perception will enable the reader to achieve a firm grasp of current knowledge concerning the processes that underlie our perception of the world and will be an invaluable resource for those studying psychology, neuroscience, and related disciplines.